With 10 points, behind for the league topper Real Madrid and Barcelona, Atletico Madrid are placing on the 3rd positon after the 34 matches on 2016-17 season of la liga so far. And in this meantime, they will host 8th place holder Eibar for the first time on league this season on this 6th May, Saturday. At the match day, on Estadio Vicente Calderon (Madrid), Atletico Madrid Vs Eibar match will be on filed at 20:15 AM BST or 14:15 PM. Atletico and Eibar have 11 head to head in their history so far. 3 of them already held on this season among them so far. 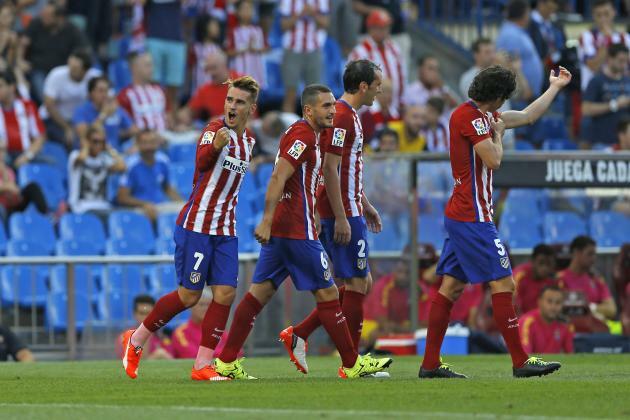 The first one was on Primera Division, Atletico Madrid won by 0-2 goals. Season was on Copa del Rey, Atletico Madrid won by 3-0 goals and last one the season leg of Copa del Rey, match drawn by 2-2 goals. Finally, in 11 head to head among them, Eibar have just one wins over Atletico was on Segunda Division by 2-1 goals at 2000-01. And Atletico won in 8 matches and all came after consecutively. Atletico have 68 points in league so far while they have 20 wins and 6 defeats besides 8 drawn. But they are the best defensive time on current season. They had 25 only goals in 35 matches on their net. And Eibar have 14 wins and 9 drawn out of their 34 matches. Getting 51 points and placing on the 8th place at the current moment.